Home Accents and Home Accessories Gifts Collections. 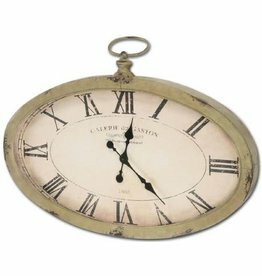 Find Garden & Yard Decor Picture Photo Frames Tabletop Decor , Pillows , Rugs , Vases to Tassels , Clocks , Wind-chimes, Signs, Plaques and Door Hangers. Size: 25H x 8Dia inches. Blue Coral Fish Vases Set of 3 by Designer Fablenne Jouvin. Material: Porcelain. Two's Company Tozai Home Fine Decorative Home Accents and Gifts. Size: 4x6 inches. Emery Bejeweled Frame. By Jay Strongwater Elegant gifts crafted to last a lifetime. Featuring Fine gifts of one of kind designs of Handcrafted Frames, Figurines, Home Decor, Jewlery and More. Size: 4x6 inches. Lorraine Stone Edge Frame. By Jay Strongwater Elegant gifts crafted to last a lifetime. Featuring Fine gifts of one of kind designs of Handcrafted Frames, Figurines, Home Decor, Jewlery and More. Size: 3x4 inches. Kelsey Orchid Frame. By Jay Strongwater Elegant gifts crafted to last a lifetime. Featuring Fine gifts of one of kind designs of Handcrafted Frames, Figurines, Home Decor, Jewlery and More. Size: 10 Diameter 17.5 Height inchesw Use: Suitable for indoor and outdoor use. Vietri Planters and Vases Rustic Garden Pottery Collection. 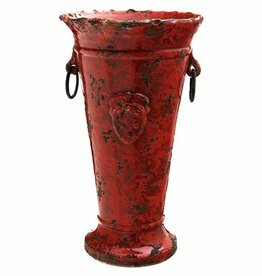 VIETRI Italian Home and Garden Decor of Planters, Vases, Decorative Urns, and Tuscan Hand-turned Italian Pottery. Size in inches: 15 W x 18 H. Use: Decorative. Vietri Botanica Home and Wall Decor Collection. VIETRI Italian Home Decor, Decorative Home Accents and Gifts. Handmade in Italy. LOCAL IN-STORE PICK UP ONLY. SHIPPING IS NOT OFFERED ON THIS ITEM. Wall Mountable Wall Clock. Size in inches: 36x25x4. Wall Clocks Collection by Mercana Art Decor and Home Furnishings. Size: 4Dia x 8T inches. 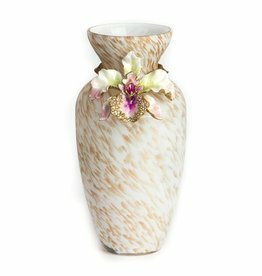 Loretta Orchid Vase. By Jay Strongwater Elegant gifts crafted to last a lifetime. Featuring Fine gifts of one of kind designs of Handcrafted Frames, Figurines, Home Decor, Jewlery and More. Size: 4x6 inches. 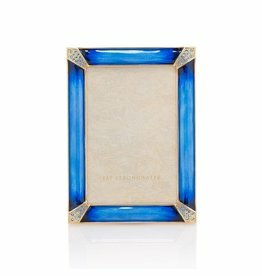 Leonard Pave Corner Frame By Jay Strongwater Elegant gifts crafted to last a lifetime. Featuring Fine gifts of one of kind designs of Handcrafted Frames, Figurines, Home Decor, Jewlery and More. Size: 15.5x8x17 inches. Contemporary Glass Centerpiece Pedestal Bowl on Wood Base. Collection: Vases, Decor and Decorative Accessories. Artmax Decorative Home Accessories, Furniture, Sculpture and Unique Distinctive Home Accents and Home Decor. 6.25H x 7 Diameter inches. Composition: Glass. Two's Company Fine Decorative Home Accents and Gifts. Size: 7Hx10Wx7D +- inches. Exquisitely unique pieces from Luna Bella embody a luxurious modern eclecticism that ranges from the decadently chic to the industrial and even the classical. Luna Bella: Always unique and still handmade. Size: 5.5Hx7Wx7D +- inches. Exquisitely unique pieces from Luna Bella embody a luxurious modern eclecticism that ranges from the decadently chic to the industrial and even the classical. Luna Bella: Always unique and still handmade.